Want to add customers manually. Bulk add them via CSV upload on your members page. 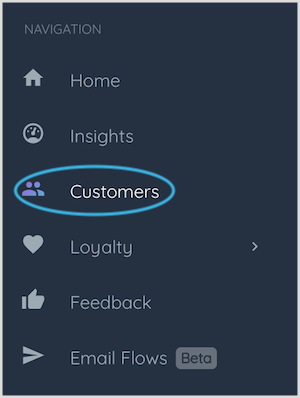 If you want to add customers to your marketing list manually, you can do so via CSV upload. 📝 Note: Customers join automatically when they make a purchase or create an account with you online or through your POS. 📝 Note: When you first install Marsello, your customer list will automatically import from your eCommerce/POS (with 0 loyalty points). How to import customers into your Marsello account, with optional loyalty points. Pay careful attention to the formatting of your spreadsheet's columns. 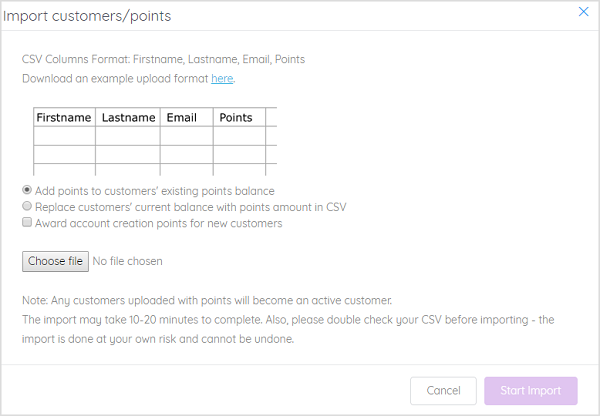 The category names in your exported file will not necessarily match the formatting that is required when importing into the loyalty app database, so you will need to update these. Your customer database import will start. 📝 Note: This import may take 10-20 minutes, depending on the size of your database.